The XYZprinting Nobel 1.0 SLA 3D printer is currently one of the most affordable that uses the more detailed Stereolitography technology for curing liquid resin with an UV laser, producing higher quality prints as compared to the more common FDM/FFF 3D printers using thermoplastics. Earlier this year, when the Nobel 1.0 was announced it looked like a really good alternative to some other more expensive SLA 3D printers and although we like FormLab’s 3D printers they are still quite more expensive. So recently we have decided to go for the Nobel 1.0 as an expansion of our 3D printers lab in order for us to start using SLA 3D printing as well and dig deeper into the technology. Now it is time to share our initial impressions after using the XYZprinting Nobel 1.0 3D printer for a while, so if you are interested in SLA 3D printers and are on a more limited budget you will most likely be interested in this device as well. 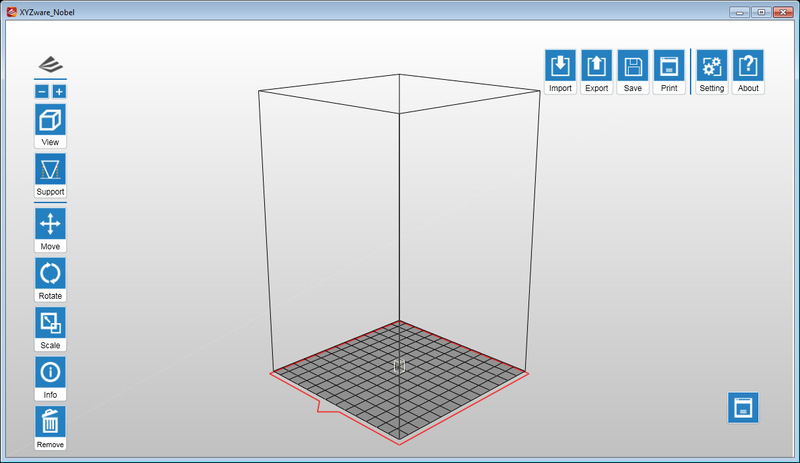 The Nobel 1.0 3D printer, like most other SLA 3D printers, comes with a smaller build volume than you might’ve gotten used to from FDM/FFF devices, but offers higher printing resolution that comes with slower build times unfortunately. The device itself is affordable and you might end up getting it for less than you might need to pay for an FDM/FFF 3D printer, however the UV resin that the device uses as a material for printing is the expensive part along with the resin reservoir that also needs to be replaced from time to time. 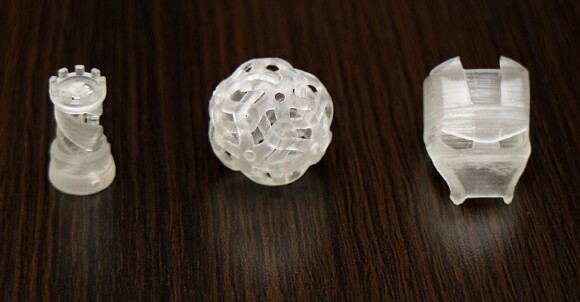 The result is that you get better quality prints, but the material that SLA 3D printers can be multiple times more expensive and there are other consumables like the resin tank that make printing even more expensive. Furthermore the Nobel 1.0 3D printer can be used officially only with the official XYZprinting resin as the bottles with the material come with an RFID tag that the printer uses for keeping track of the remaining liquid in order for the resin tank auto refill functionality to work. So far the choice of resins that are made to work with the Nobel 1.0 is quite limited and there is no official support for other more affordable or different type of resins from third parties, so this is a bit of a problem. The Nobel 1.0 is relatively easy to get started up with and produces good results. As with other SLA 3D printers when the printed part is ready you need to take some extra steps such as cleaning the part with alcohol in order to remove any remaining liquid from the solid part. Also, like with many other printers using the same technology when you remove the 3D printed part from the build platform it is still not fully cured – the object is still softer to to the touch and you need to be careful. 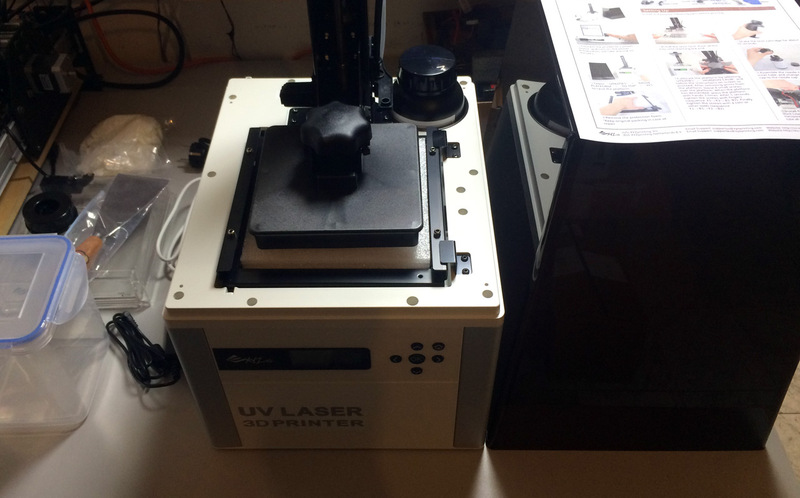 This makes it easy to remove any support materials for example or do some post-processing before you finalize it by further curing the part with some UV light at which point the part will become very strong and fully cured. As for the printing time, well, you need to be ready to wait more, especially if you decide to increase the printing quality more than the standard level of 0.1mm – usually the highest quality on FDM/FFF 3D printers. Do note that unlike some other 3D printing software with the XYZware that the Nobel 1.0 uses if you have a problem with your 3D model file it will most likely end up with a broken sliced part that will not print at all, so make sure that you have no issues with the 3D file that you import for printing. So, in general we are happy with the results we are getting from the Nobel 1.0 3D printer so far, we haven’t had any issues with it yet resulting in failed prints, but there are some limitations such as the need to use only official materials that we are don’t like that much.